Just who is Radovan Krejcir? Known as “Baas John” to his underlings, he arrived in South Africa in 2007 under a false passport. He was a fugitive, a powerful Czech multimillionaire, who escaped from prison on fraud charges and fled to the good life in the Seychelles. But a bid by the Czech Republic to have him extradited saw Krejcir coming to South Africa. He was arrested at the airport, but an alleged bribe kept him in the country. 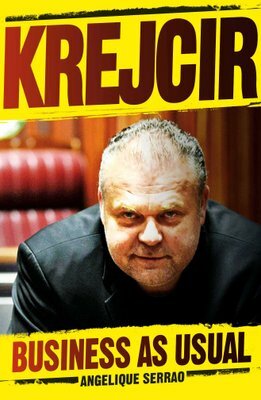 Within a few years Krejcir had amassed great wealth and his name began being associated with underworld gang members such as Cyril Beeka and Lolly Jackson. It was the murder of Lolly Jackson that brought Krejcir’s name into the limelight and revealed his dealing with crime intelligence boss Joey Mabasa and small time criminal George Louka. Over the next three years 10 more deaths took place, each one more dramatic than the next. He was also the victim of a bizarre James Bond style shoot out. His business Moneypoint exploded when a bomb left inside a bag blew up, killing two associates. Soon afterward Krejcir was arrested, but in true Krejcir fashion even a jail cell could not hold him down. Police foiled a plan to murder top cop Colonel Nkosana Ximba and forensic investigator Paul O’Sullivan and to stop numerous escape attempts. He has been found guilty and sentenced for kidnapping, attempted murder and attempted drug possession. He also faces charges for the murder of Sam Issa, the conspiracy to murder investigators and the murder of Phumlani Ncube, a hit man-turned informant. But Krejcir reveals why we have not heard the last of the worst crime boss South Africa has ever seen.